Cobalt is a transition metal. Most production comes from nickel and copper mining. It is used to create high-strength alloys, as a blue pigment in glasses and ceramics, and in lithium ion batteries. It is used in numerous diverse commercial, industrial, and military applications, many of which are considered strategic and critical. 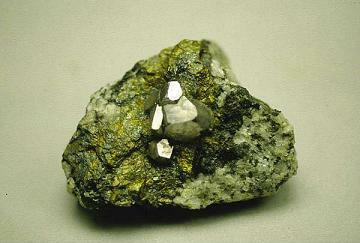 On a global basis, the leading use of cobalt is in rechargeable battery electrodes. Superalloys, which are used to make parts for gas turbine engines, are another major use for cobalt. Cobalt is also used to make airbags for automobiles; catalysts for the petroleum and chemical industries; cemented carbides (also called hardmetals) and diamond tools; corrosion- and wear-resistant alloys; drying agents for inks, paints, and varnishes; dyes and pigments; ground coats for porcelain enamels; high-speed steels; magnetic recording media; magnets; and steel-belted radial tires. Domestic Production and Use: The United States did not mine or refine cobalt in 2009; however, negligible amounts of byproduct cobalt were produced as intermediate products from some mining operations. U.S. supply comprised imports, stock releases, and secondary materials, such as cemented carbide scrap, spent catalysts, and superalloy scrap. The sole U.S. producer of extra-fine cobalt powder, in Pennsylvania, used cemented carbide scrap as feed. Seven companies were known to produce cobalt compounds. In 2009, a cobalt plant in North Carolina ceased operations, and one plant in Ohio was placed on care-and-maintenance status. More than 60 industrial consumers were surveyed on a monthly or annual basis. Data reported by these consumers indicate that 49% of the cobalt consumed in the United States was used in superalloys, mainly in aircraft gas turbine engines; 9% in cemented carbides for cutting and wear-resistant applications; 15% in various other metallic applications; and 27% in a variety of chemical applications. The total estimated value of cobalt consumed in 2009 was $270 million. Import Sources (2005-08): Cobalt contained in metal, oxide, and salts: Norway, 19%; Russia, 17%; China, 12%; Canada, 10%; and other, 42%. Events, Trends, and Issues: The global economic downturn that began in late 2008 resulted in reduced demand for and supply of cobalt. During the first half of 2009, the world availability of refined cobalt (as measured by production and U.S. Government shipments) was 13% lower than that of the first half of 2008. The decrease was primarily because of a decline in 2009 production from China and the closure of a Zambian refinery in late 2008. During the second half of 2009, a labor strike at a company in Canada resulted in reduced production of refined cobalt from that country. Beginning in late 2008, production of cobalt-bearing concentrates and intermediates was impacted by cutbacks at numerous nickel operations and at some copper-cobalt operations in Congo (Kinshasa). Financing, construction, and startup of some proposed brownfield and greenfield projects that would add to future world cobalt supply were delayed by various factors, including global economic conditions and low cobalt, copper, and nickel prices.The London Metal Exchange planned to launch a cobalt contract in February 2010. The global contract would trade in 1-metric-ton lots of minimum 99.3% cobalt with delivery to warehouses in Baltimore, Rotterdam, and Singapore.China was the world’s leading producer of refined cobalt, and much of its production was from cobalt-rich ore and partially refined cobalt imported from Congo (Kinshasa). In 2008, China became the leading supplier of cobalt imports to the United States. World Resources: Identified cobalt resources of the United States are estimated to be about 1 million tons. Most of these resources are in Minnesota, but other important occurrences are in Alaska, California, Idaho, Missouri, Montana, and Oregon. With the exception of resources in Idaho and Missouri, any future cobalt production from these deposits would be as a byproduct of another metal. Identified world cobalt resources are about 15 million tons. The vast majority of these resources are in nickel-bearing laterite deposits, with most of the rest occurring in nickel-copper sulfide deposits hosted in mafic and ultramafic rocks in Australia, Canada, and Russia, and in the sedimentary copper deposits of Congo (Kinshasa) and Zambia. In addition, as much as 1 billion tons of hypothetical and speculative cobalt resources may exist in manganese nodules and crusts on the ocean floor. Substitutes: In some applications, substitution of cobalt would result in a loss in product performance. Potential substitutes include barium or strontium ferrites, neodymium-iron-boron, or nickel-iron alloys in magnets; cerium, iron, lead, manganese, or vanadium in paints; cobalt-iron-copper or iron-copper in diamond tools; iron-cobalt-nickel, nickel, cermets, or ceramics in cutting and wear-resistant materials; iron-phosphorous, manganese, nickel-cobalt-aluminum, or nickel-cobalt-manganese in lithium-ion batteries; nickel-based alloys or ceramics in jet engines; nickel in petroleum catalysts; and rhodium in hydroformylation catalysts. African Metals Corporation (CVE:AFR) - http://www.africanmetals.com/ - High grade cobalt deposits at the Katanga Copper belt in the Democratic Republic of Congo. Africo Resources (TSE: ARL) - http://www.africoresources.com/ - Their Kalukundi project in Kolwezi District, Katanga Provicnce, Democratic Republic of Congo holds cobalt and copper deposits. Altius Minerals (TSE: ALS) - http://www.altiusminerals.com/ - Small interest in the Voisey's Bay nickel-copper-cobalt project in Labrador, Canada. American Elements - Cobalt metal, cobalt oxide, cobalt oxalate, cobalt acetate, cobalt bromide, cobalt carbonate, cobalt chloride, cobalt fluoride, cobalt nitrate, sodium hexanitrocobaltate, and alloys of cobalt with samarium. Arctic Star Diamond Corp (CVE: ADD) - http://www.arcticstardiamond.com/ - Their Credit Lake property in Northwest Territories holds cobalt, palladium, copper, platinum, and nickel. Cascadia International Resources (CVE: CCR) - http://www.cascadiaintl.com/ - Their Norton Lake and Midway properties contain cobalt, nickel, copper, and platinum group elements. Geovic Mining Corp. (TSE: GMC) - http://www.geovic.net/ - Geovic Cameroon produces cobalt in Africa. London Metal Exchange http://www.lme.co.uk/minormetals/cobalt.asp - One can invest in cobalt futures contracts on the LME. Norlisk Nickel (OTC: NILSY) - http://www.nornik.ru/en/production/product_type/pt25/ - Metallic cobalt in ingots and granules. They also produce copper, palladium, platinum, silver and gold, along with byproducts like rhodium, iridium, and ruthenium. Starfield Resources (TSE: SRU) - http://www.starfieldres.com/ - Their Ferguson Lake property in Nunavut, Canada holds cobalt, platinum, nickel, palladium and copper. ZCCM Investment Holdings (LUS: ZCCM) - Their Chambishi Metals subsidiary produces cobalt in Zambia.